It's a funny coincidence that several of the greatest drivers of recent times had their birthdays in the early months of the year - Lewis Hamilton and Michael Schumacher are just four days apart - but rather handily that gives us a chance to compare how their careers stood at this stage of the seasons in which they turned 23 years old. In 1992, Schumacher had just finished his first full season at Benetton. He'd recently won his first grand prix at Spa, but he still had a lot of learning to do, and the first title was two years away, achieved when he was 25. In 1983, Ayrton Senna had just won the British Formula 3 Championship with West Surrey Racing, and was about to enter his first Formula One season with Toleman, a midfield team with whom he could learn without having too much pressure on his shoulders. His first grand prix win was a little over 18 months away, but he wouldn't win a championship until he was 28. In 1978, Alain Prost won the French F3 Championship, and he was preparing for an assault on the European title in '79. He'd be a grand prix winner two years after that, but the first title would wait until he was 30. Then there's Hamilton, world champion in his second season of F1 at the age of 23, and with the world at his feet. Of course it's a little unfair to compare career paths across the generations, because drivers can now start racing properly in karts earlier, and they tend to get to get into pukka racing cars at a younger age than the likes of Prost could aspire too. Nevertheless, Hamilton's achievement is an extraordinary one. You can be naturally fast, but there's so much more than pure pace involved in putting everything together to win a world championship. Lewis discovered that last year when he came so tantalisingly close to managing it in his first season. This time the pieces fell into place, and he did just enough to head home Felipe Massa. There's no question that Lewis has developed rapidly over the last two seasons, and he's not yet reached the end of that learning curve. There is still so much more to come, assuming that he stays as focussed and motivated as he is now. And that, after all, was never a problem for Schumacher, even after all his success. 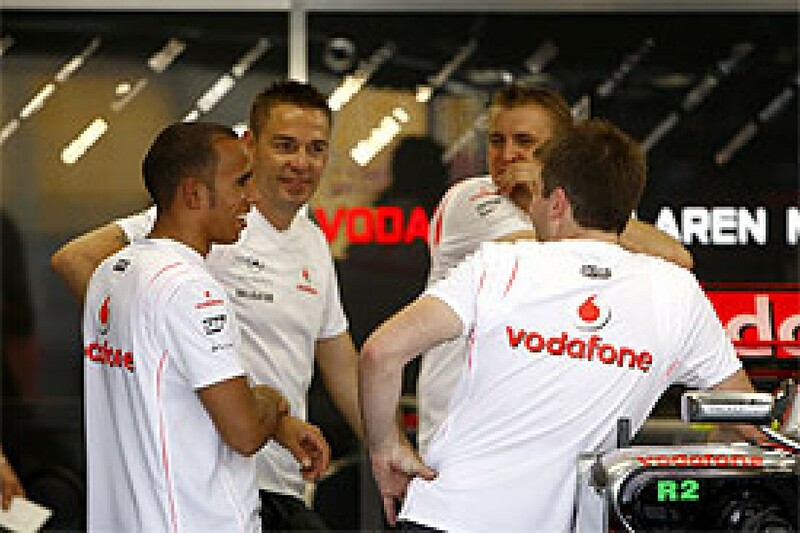 The best guys to judge Hamilton are those who work closely with him at McLaren, who knew him as a lad that hung around the factory, and have subsequently observed his rapid progress over the past two seasons at close quarters. "Lewis is very good, there's no question of that," says sporting director Dave Ryan, who has been with McLaren since the Emerson Fittipaldi era. "And I have worked with some brilliant drivers. The difference is that Lewis is just at the beginning. He should have won it last year to be honest, and to take it in his second year, with the number of wins he's had and the number of pole positions, is impressive. "The ability he has just to steer the car around the track is quite amazing. I'm just blown away by the way he arrives somewhere and can just be quick. He just gets on with it. I know people say good drivers learn new circuits in half a dozen laps, but Lewis really does it, and he does it consistently well." It wasn't all plain sailing this season of course. Hamilton made some expensive mistakes at both ends of the year, but he always bounced back. It's easy for all of us to overlook the fact that this was his second year. The standards he's set for himself are so high that when he does screw up, it's that much more obvious. The important thing always is to take note and learn. "He has made some mistakes, but he's a young man," says Ryan. "They always say once you've won your first race the pressure goes, and (after) the first championship, it gets easier. I'm sure he'll mature through that. He's already incredibly mature as a driver. We have seen occasions where he's done things that he perhaps shouldn't have done. But I don't think he's done it twice." 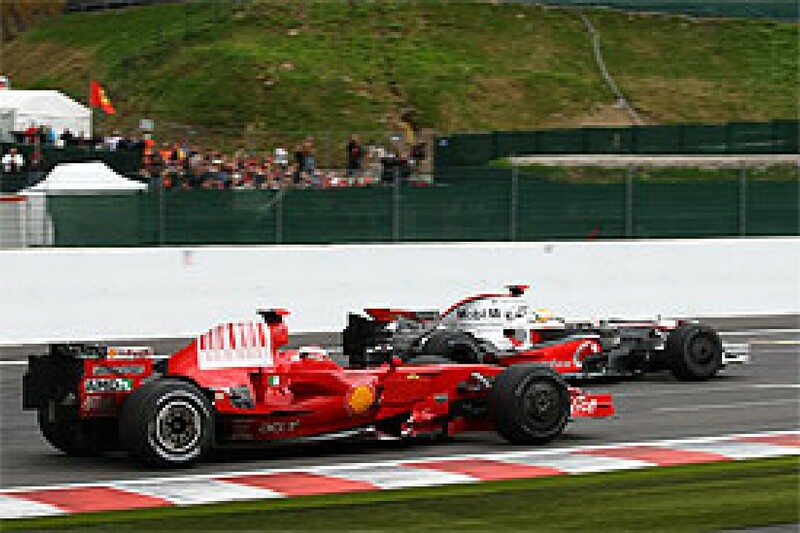 We saw a demonstration of that when he dived past Kimi Raikkonen at Spa. Mindful of his earlier Magny-Cours penalty, unprompted by the team Hamilton attempted to do the right thing in dropping back and ceding his advantage. The FIA didn't think he'd done enough, but the thought was there. Spa was just one example of the brushes with authority he's endured over these last two years, and he could be forgiven for thinking that he was being picked on. Conspiracy theorists may argue that the FIA has been out to 'get' Hamilton and/or McLaren, but the other viewpoint is that he gets into tricky situations because he's always at the forefront of the action, and his style is to be on the very edge all the time. The string of penalties he suffered in 2008 just added to the pressure to perform that he already felt, having assumed - by default - the senior role in the team. 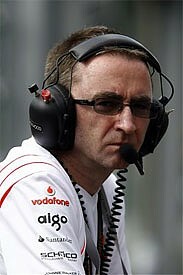 "He's very young still, but he's maturing every race," says McLaren race engineering chief Paddy Lowe. "I would say that he starts from a pretty high baseline! He came in at an incredibly high level. He had the benefit last year of not having the weight of the team on his shoulders. And I think that was a bit of a struggle at the beginning of this year. "He's enormously appreciative and understanding of the sheer amount that goes into producing that car and the operation that we run. And he realises that's all focussed into his performance on the day. And that's a lot of pressure, which he was putting on himself at the beginning of this season. "I think it took a few races to come to terms with that. Obviously last year that was all diluted across to the double world champion in the other car, whereas he really felt that this year. But I think he relaxed into that role after four or five races." Lowe agrees with Ryan that Lewis has an ability to learn from his mistakes, and that he is still in the process of becoming a more complete package. "That's absolutely true, but I think it's probably true of most top drivers. That's the maturity that comes, and we've seen it with all the great drivers, they've had a few sharp edges to knock off in their first two or three seasons. But he's had fewer edges to round off to start with. He's got such enormous talent that he's been able to deliver right from race one, if you go back to Melbourne 2007." Nevertheless, Lewis has sometimes been hard to rein in. The first lap at Fuji was a classic example, as he tried too hard too soon to recover from his poor start. "Those are the edges that need rounding off, aren't they?" said Lowe. "When a guy is so incredibly competitive, he just wants to win at all costs. Sometimes that can lead to heat of the moment things. You want to get the job done instantly. "Those are the things he's learning, that you don't have to get the job done instantly. I'm not a driver, so I don't know what it's like to remember that in the heat of the moment. That's the stuff that he'll tune up over the years." It's a difficult question of course, but what are his real strengths? "All drivers are different, they've all got different qualities," Lowe explains. "But what I like about Lewis is that he's got a lot of great properties, all in one. He's incredibly talented and quick, and a fantastic overtaker. Whatever happens, he's entertained everybody for two years, and that's just great isn't it? This is an entertainment sport. "And he's a great sportsman as well. I know the guy, and I do find upsetting some of the stuff that we've had in the last couple of months, people talking about his driving and this and that. The guy is a great sport. He's competitive, but respectful, and we don't always see that in drivers." So what is the real potential? It's impossible to say, because we've never seen a driver at such a high level so early in his career. He already has a two-year head start on Schumacher in terms of his first title. "I think he's got the natural talent to just keep going," says Lowe. "I hope we keep him in the sport, I really do. Winning the championship was a good part of that, because there have been episodes where he's been mistreated in a way and thought... 'Do I want to do this?' He wouldn't admit it, but he must be human, mustn't he?" "The kid's only 23," says Ryan. "As long as he remains motivated and healthy, the potential is unlimited, isn't it? Let's hope he just stays Lewis Hamilton, that's the main thing."